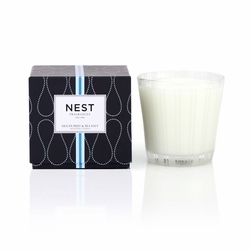 To Redeem: Add any NEST candle or fragrance product to cart. 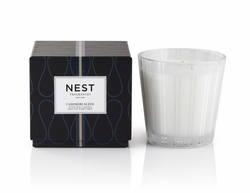 Coupon code will be applied automatically. 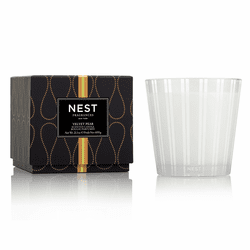 NEST luxury scented candles are made with a premium, soft, highly refined, cosmetic-grade wax that is proprietary to NEST Fragrances and was developed to optimize burn and fragrance throw. The materials used are the highest grade of wax materials available. The wax base incorporates the same grade of waxes used in pharmaceutical and cosmetic products and contains ingredients such as paraffin, soy, and natural oils. 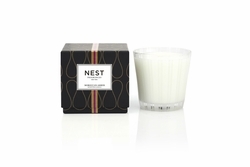 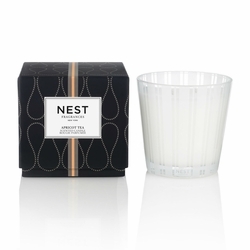 NEST Fragrances uses only lead-free wicks made of a high-quality braided cotton or paper. Each NEST candle comes packaged in a giftable box. 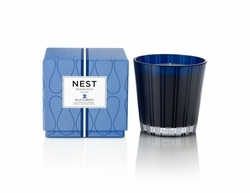 Blue hydrangea, hyacinth, and forget-me-nots are blended with fresh green notes and a dew drop accord to create the aroma of a lush floral garden. Enveloping, rich and luxe, this scent is a warm, woody fragrance.� The smoothness of cashmere woods is wrapped in tobacco leaves, black amber and a soft suede accord.� Bergamot and fig impart a slight nuance of freshness to the signature woody tones. 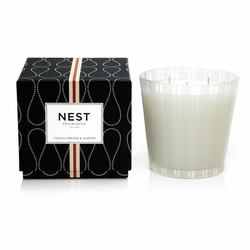 This rich fragrance combines the warm, nutty aroma of Mediterranean almond with fruity accents of peach and apple infused with white orchid, the creaminess of coconut milk, and oriental base notes of vanilla, amber, musk and patchouli.